Join Molly McDermott, certified prenatal and postpartum yoga instructor, for a 6 week course to prepare the body and mind for birth. This is a time to nourish and build yourself both physically and emotionally. This course is designed to utilize asanas, meditation, relaxation and breathing techniques to assist in one of the most meaningful experiences of your life, giving birth to your baby! We will also practice asanas to alleviate pregnancy related ailments, specific exercises to strengthen the pelvic floor, sounding to use as a tool while in labor and the most effective positions to promote a smooth and natural birth experience. Time will also be reserved for discussion and questions about what to expect in the labor and birth process, as well as postpartum. 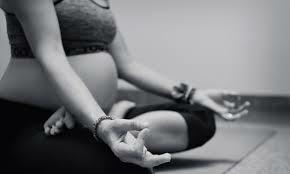 Prenatal yoga provides a safe and supportive environment to help prepare moms-to-be, as well as time to connect with your baby on an energetic level.